Sehr sauberes Hostel, etwas außerhalb vom Lärm der Stadt, jedoch nicht zu weit. Kleines, feines Frühstücksangebot (Toast, Müsli). Sehr freundliches Personal. Aufenthaltsraum & Küche sehr gut ausgestattet. Handtücher können für 5£ “gemietet” werden, die man beim Zurückbringen auch wieder bekommt. Das Hostel ist sauberer wie einige Hotels in denen ich übernachtet habe. Amazing Hostel! The staff is very friendly and helpful. I loved it there and I will come back to it! This was my second time staying at the Light House hostel and again, I very much appreciated the nice and tidy rooms as well as how friendly, helpful and welcoming all the staff is. 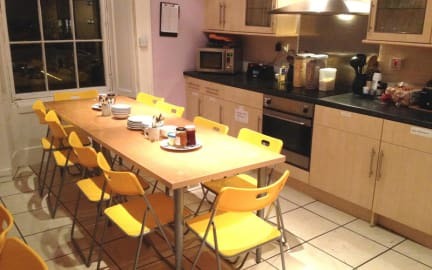 The kitchen is well equipped for cooking, the offered breakfast is nice and it is always great hanging out in the homely common room talking to other travellers. To the city centre, one can either walk or just take the bus; also there is a supermarket nearby. I would definitely go back there a third time! Sehr schönes Hostel. Habe sehr viele nette Gäste kennen gelernt! Das einzige zu beanstandende ist, dass es so 20min zu Fuß von Stadtzentrum entfernt liegt, aber war für mich kein sonderlich großes Problem! Super nettes Hostel in Top Lage. Wirklich sauber und sehr nette Mitarbeiter. Betten waren bisschen arg wackelig aber das ist nicht so schlimm für mich gewesen. Man zahlt ja nicht viel. Küche und Frühstück waren ausreichend. Ich fand nur es sind viel zu wenig Bäder. Staff is really helpful, they try to give you everything you ask for. Actually LIGHT House Hostel is a nice place to stay because you develop into a real community with the people there. It´ s clean, it´ s quiet, the breakfast options are delicious - so basically everything you might wish for is covered. Theres quite some stairs though, you should not mind if you book your room there. That´ s the only thing to keep in mind if you have lots of luggage with you. I´ d like to come back again! We liked our stay at the light house hostel. 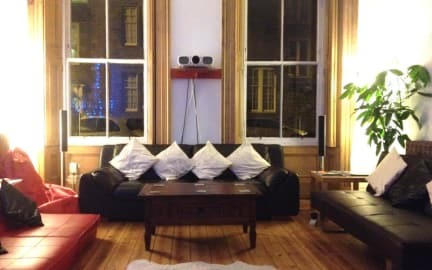 It has walking distance to the Edinburgh city centre and cafés, restaurants and supermarkets are all around. The hostel is not one of those big touristy ones but rather small and cosy. The staff is really friendly and helpful. Sehr angenehme Unterkunft mit freundlichem Personal. Ich würde jederzeit wieder dort buchen.